As a massive work of reference to Fischer's chess science and technique, and as a tribute to the delights of Fischer's aesthetic prowess, this book can hardly be excelled. Meticulously documented, indexed and copiously illustrated. New Statesman Bobby Fischer became the youngest U.S. champion at the age of fourteen and later went on to defeat Boris Spassky in a titanic match for the world championship at Reykjavik in 1972, becoming the highest rated player of all time (a record surpassed only recently by Gary Kasparov). Having become world champion, he then retired from grandmaster chess. Twenty years after the historic Reykjavik match, there is great public enthusiasm for his return against Boris Spassky. 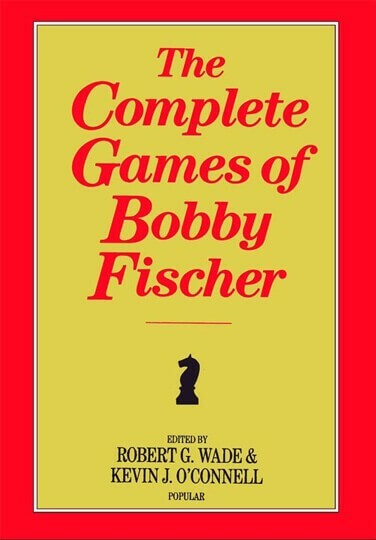 This unique, definitive record of Fischer''s amazing career includes: Every traceable serious game that Fischer played from 1955 to 1977 Numerous game annotations A complete record of Fischer''s tournaments and matches Special articles by Grandmasters Keres and Bisguier, former British champions Golombek and Borden, and openings expert Blackstock.